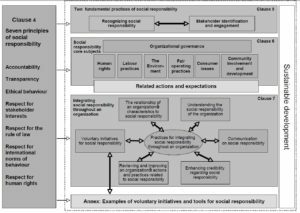 ISO 26000 Social Responsibility Standards took a decade to compile and ratify. Over 90 countries participated in this monumental effort, coming to agreement on how planetary citizens might restore order in the business community. It provides a way for the common citizen or employee to garner support and compel their company to engage in better business practices. ISO 26000 was developed by a working group of about 500 experts. At the publication of this standard the working group was disbanded. However, the leadership of the working group was retained to provide support and expertise for users. This is now called the Post Publication Organization, or PPO, for ISO 26000. Those for the Systematic Review of ISO 26000, due to begin 15 January 2017. Download your copy. Just give us your name and email.